Too often critique simply works as a safety valve; too often it becomes a logo. Indeed, we have seen an explosion of this logo in recent years: there are Critical Management Studies conferences and critical journals appearing everywhere. It seems as if there is a critical bandwagon that everybody feels they need to jump onto. But how much has the ‘critical’ logo really changed; how critical has our critique really been? We feel that too often the ‘critical’ signifier simply stands in for any real critique to be practiced. It is before this background that the editorial collective of ephemera has decided to change the subtitle of the journal. A minor gesture, perhaps. But also significant in the sense that through this gesture we are not simply getting rid of critique but, instead, affirming the tradition of critique. A Kantian move perhaps. 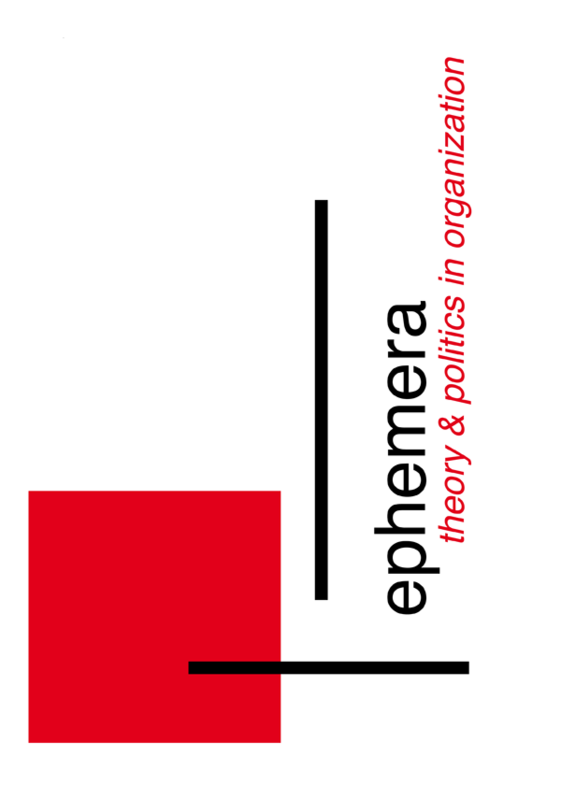 So, there you go: an issue of ephemera on critique which marks the journal’s departure from its logo ‘critique’. We are removing the label in order to learn the thing itself.